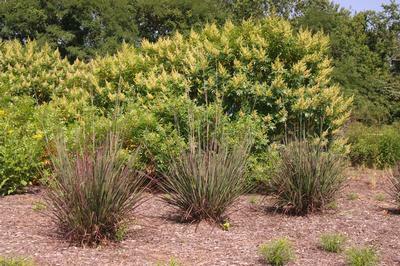 'Red October' Big Bluestem is an exciting color breakthrough for this tough native grass. The leaves are tipped with burgundy and held on tall upright green stems in summer. The fall the foliage turns a bright scarlet red for several weeks after the first frost. 'Red October' also has red turkey-foot-shaped seed, particularly showy when backlit. The sturdy upright stems are an attractive tan in winter. An important food source for winter birds. 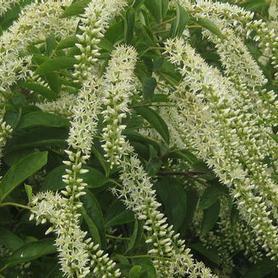 Introduced by Intrinsic Perennials. 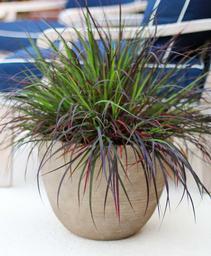 PRN Preferred: Spring foliage emerges with reddish highlights, strong red fall color.